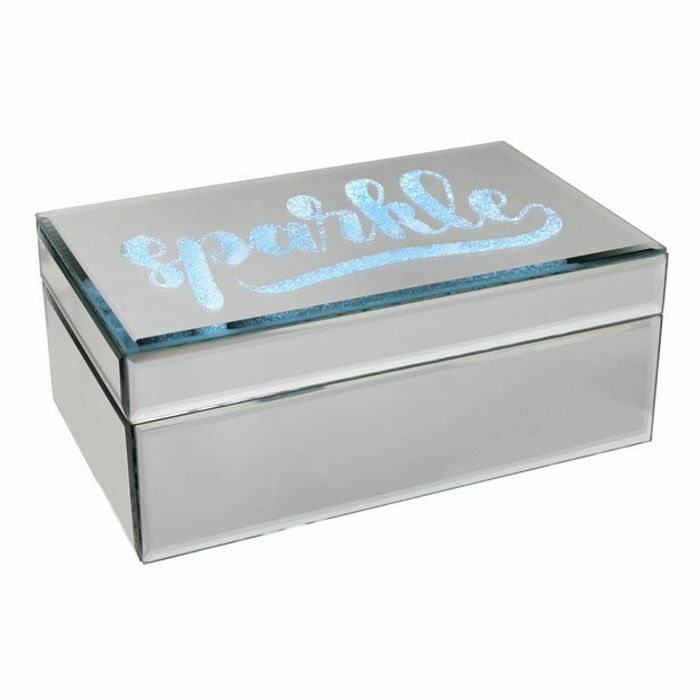 Let your life sparkle with this unique light up jewellery box, made from mirrored glass and fully lined. Move the jewellery box and the word sparkle will light up, and turn off automatically after 3 minutes to save the battery. The perfect place to store all of your sparkling jewellery items. With 1 compartment and ring section.